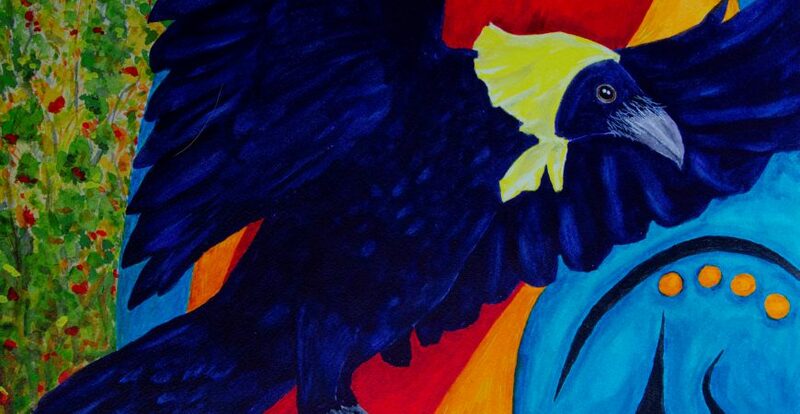 In Indigenous stories, the Trickster Raven can be a benevolent transformer or a careless glutton, but almost always is depicted as a male. In Val Napoleon’s paintings, the Trickster is a social-activist grandma who teaches law. An influential Indigenous scholar, Prof. Napoleon holds the Law Foundation research chair at the University of Victoria’s aboriginal justice and governance program, through which her work is helping First Nations apply their own laws within their communities. Her artwork is a recent branch from her unusual path to academia. 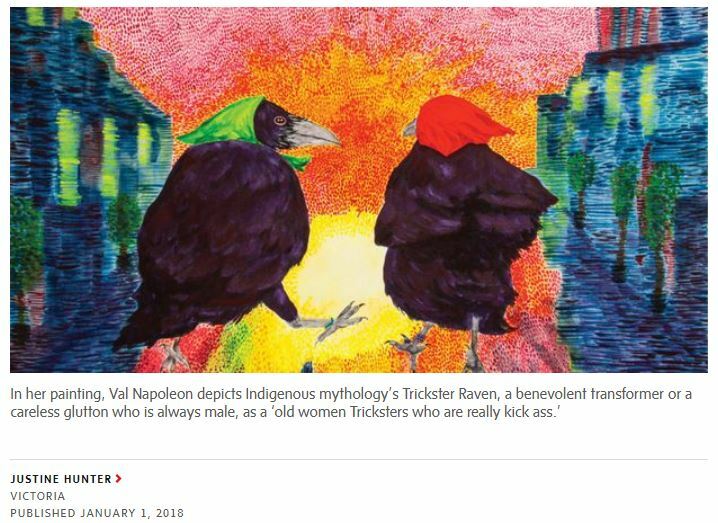 “People have begun to talk about Tricksters mainly as male,” she explained in an interview. “One of the things I have realized over the years, is how privileged I was to have been doing the work I did,” she recalled. It was the 1970s, and as a teenager with no formal education, she became part of a group of young activists who organized housing programs and forestry training, established aboriginal friendship centres and child sexual-abuse-prevention programs. Her activism supported the Gitxsan and the Wet’suwet’en Nations as they took their aboriginal land claims to court, leading to the landmark Supreme Court of Canada ruling known as Delgamuukw. That decision confirmed Indigenous peoples have valid claims to ancestral lands they had never ceded by treaty. At the age of 20, Val Napoleon resolved to study law. She was accepted to law school as a mature student. But “life happened” and she remained working in the Gitxsan community. Which is how she ended up at UVic’s law school as a grandmother. “I was sitting in my chair, all of us in this big room, dressed in our finest, and suddenly the floor beneath became glass, and beneath the floor I saw my brother, who was incarcerated. And I saw many other people like him who were incarcerated.” Surrounded by people enjoying success, she was reminded of her connection to the social struggles of those who were not so fortunate. As a project for Canada’s Truth and Reconciliation Commission, Prof. Napoleon created the Indigenous Law Research Unit – her proudest work to date. It allows Indigenous communities to articulate and restate their law and legal processes – a model that has been taken up across Canada and beyond. She said the Gitxsan and Wet’suwet’en paid a great price for their contribution to the law in Canada. But today, conversations are opening up on the role of Indigenous law in law schools, in government and in debates around land development. “A year ago, I was asked by the Federation of Law Societies [of Canada], ‘What does a competent lawyer need to know about Indigenous law today? '” At the time of the Delgamuukw decision, that question would have been inconceivable, she said. The title of my research chair is Law Foundation Professor of Aboriginal Justice and Governance. I am from northeast British Columbia (Treaty 8) and a member of Saulteau First Nation. I am also an adopted member of the Gitanyow (Gitksan) House of Luuxhon, Ganada (Frog) Clan. Prior to joining the Faculty of Law at UVic om 2012, I was cross-appointed with the faculties of Native Studies and Law at the University of Alberta. My current research focuses on indigenous legal traditions (indigenous legal theories, pedagogies, law and precedent, legal institutions, and legal research methodologies), indigenous feminism, citizenship, self-determination, and governance. Some of my major initiatives include the proposed JID (joint JD and indigenous law degree) program, establishing the Indigenous Law Research Unit with a number of research partnerships with Indigenous communities and groups in BC, across Canada, and with international connections. Some of our projects are a two-year Indigenous/non-Indigenous water law research project, gender and Indigenous law, dispute resolution, Indigenous lands and resources, and human rights in Indigenous law. We are currently looking to hire graduate students for our water project. I have taught and published on aboriginal legal issues, indigenous law and legal theories, indigenous feminisms, governance, critical restorative justice, oral traditions, and Indigenous legal research methodologies. I also teach property law. 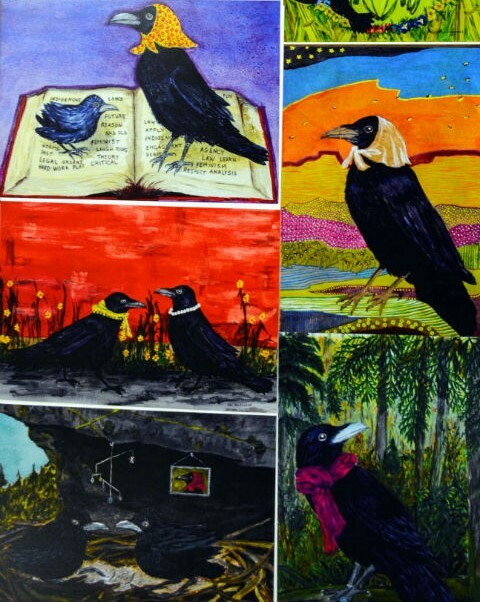 The Indigenous Law Research Unit (ILRU) is raising money by selling artwork, in the form of cards, created by UVic Law’s ILRU Director and Law Foundation Chair of Aboriginal Justice and Governance, Val Napoleon. 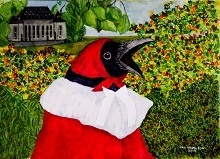 The cards, all featuring ravens, are selling for $6 each with all proceeds going to the ILRU.